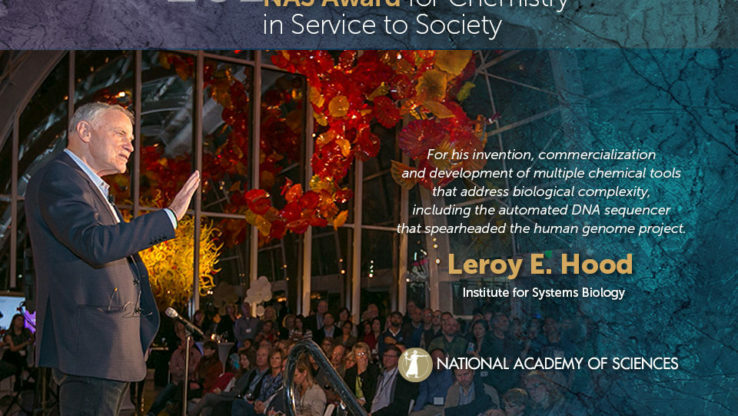 TAMPA, Fla. (Dec. 18, 2012)—The National Academy of Inventors (NAI) has named 98 innovators to NAI Charter Fellow status, representing 54 prestigious research universities and non-profit research institutes. Together, the new Fellows hold more than 3,200 U.S. patents. Included in the Charter class are eight Nobel Laureates, two Fellows of the Royal Society, 12 presidents of research universities and non-profit research institutes, 50 members of the National Academies (National Academy of Sciences, National Academy of Engineering, Institute of Medicine), 11 inductees of the National Inventors Hall of Fame, three recipients of the National Medal of Technology and Innovation, four recipients of the National Medal of Science, and 29 AAAS Fellows, among other major awards and distinctions. The NAI Charter Fellows will be inducted as Fellows by the U.S. Commissioner for Patents, Margaret A. Focarino, from the United States Patent and Trademark Office (USPTO), during the 2nd Annual Conference of the National Academy of Inventors, on Feb. 22, 2013, in Tampa, Fla., at the Embassy Suites Hotel in the University of South Florida Research Park. Fellows will be presented with a special trophy and a rosette pin. "The USPTO and the NAI work closely together to promote innovation and support inventors, and I am delighted to be inducting this charter class of outstanding academic innovators," said Focarino. In his keynote address at the NAI's inaugural conference last February, David Kappos, Under Secretary of Commerce for Intellectual Property and Director of the USPTO, said: "The NAI is a breakthrough for our country. It couldn't be more timely to have an organization like this to be championing innovation." The NAI Charter Fellows will be recognized with a full page announcement in The Chronicle of Higher Education on Jan. 18, 2013, in the Jan. 2013 issue of Inventors Digest, and in a future issue of Technology and Innovation – Proceedings of the National Academy of Inventors. The academic inventors and innovators elected to the rank of NAI Charter Fellow are named inventors on U.S. patents and were nominated for outstanding contributions to innovation in areas such as patents and licensing, innovative discovery and technology, significant impact on society, and support and enhancement of innovation. The NAI Fellows Selection Committee was comprised of recipients of National Medals, a National Inventors Hall of Fame inductee, 14 members from the National Academies, senior officials from the USPTO, the American Association for the Advancement of Science (AAAS), the Association of University Technology Managers (AUTM), and the United Inventors Association, and leaders from several research universities. "The scope of new thinking and new products represented by the NAI Charter Fellows is a profound example of the power of academic innovation and invention," said Todd Sherer, president of AUTM and associate vice president for research administration at Emory University, an NAI member institution. The 2012 NAI Charter Fellows are listed here http://www.academyofinventors.org/charter-fellows.asp.